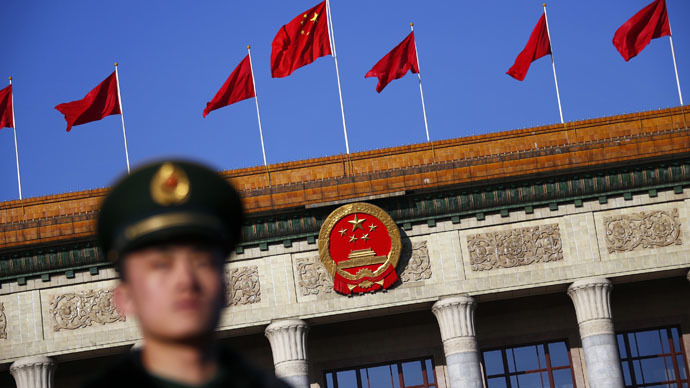 China has called upon Japan to “remain on the pathway of peace.” The statement comes after Tokyo announced plans to introduce a new law allowing it to offer logistical support to foreign allies’ troops in conflicts abroad. Beijing hopes Tokyo will "take a correct attitude, stick to its previous correct positions and statements, including the Murayama Statement. We also expect that Japan will remain on the pathway of peace," Cheng Yonghua, China’s ambassador to Japan,toldChina Daily newspaper. The Murayama Statement was released back in 1995 by Japan’s then-PM Tomiichi Murayama. In the document he apologized for the damage and suffering caused by Tokyo to its Asian neighbors during WWII. "If Tokyo attempts to tackle the war incorrectly, or to impose ambiguity or defiance upon its war-related actions, we will worry about it further honoring the pathway of peace,” he said. He added that any such attempt will "deal serious harm once again" to Asian people, and the move will feel like "peeling off a fresh scab and rubbing salt in the wound." Cheng spoke as Japan plans to introduce a new law which would allow the nation’s Self-Defense Forces (SDF) to offer logistical support to foreign allies’ troops in conflicts abroad. The government is planning on discussing this new draft as soon as Friday when the Liberal Democratic Party and its junior coalition partner Komeito meet. According to the new draft copy of the law, SDF units will be able to deploy overseas to support missions mandated by UN resolutions, as well as those led by the US and UK after the 9/11 attacks. Japan also wants to look into the possibility of giving the SDF the freedom to support other missions which are not backed up by UN resolutions, but are supported by other international or regional organizations, such as the European Union. The logistical support Japan’s government has in mind includes supplying munitions, medical help and transportation support. The defense minister will have the power to evaluate the safety of the SDF overseas and the authority to pull the forces out if necessary. The units would automatically withdraw if fighting begins in the area of their deployment. Search and rescue missions would be the only ones except from these rules. Prime Minister Shinzo Abe has signaled that he’s moving away from the pacifist stance fixed in the country’s post-WWII constitution. 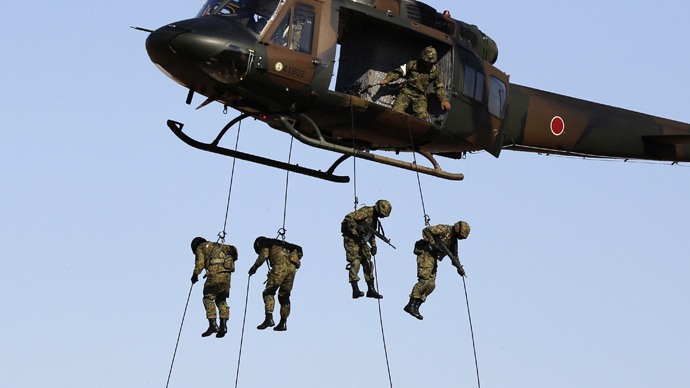 In 2014, Abe’s cabinet reversed a post-war constitutional ban on military operations abroad. Japan renounced war after the adoption of the 1947 Constitution. Meanwhile, the Japanese government approved the largest military budget in 70 years in January. 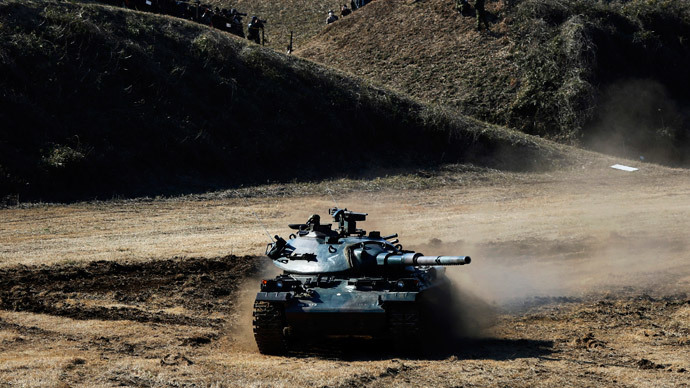 Prime Minister Shinzo Abe's cabinet gave the green light to an unprecedented nearly-5 trillion yen ($42 billion) defense budget, which comes into force in April. "In an age when we don't know when or where Japanese lives will be at risk ... we need to collect more overseas information," LDP lawmaker Takeshi Iwaya told Reuters in an interview.